Michael Makhal is a Western Classical Violinist, Conductor and Music Composer from India. He is an Associate of London College of Music – University of West London in Music Literacy (Music Composition). ​Michael is among very Indian composers who write music for International orchestras and artists. Michael’s speciality, he composes music on Indian Raaga and traditional Folk style for Western Classical orchestras and musicians. His latest landmark work ‘1947 Summer of India’ for Cello solo and String Orchestra had its World Premiere in Italy at the 8th Luci Della Ribalta International Festival in Narni, on 29th August 2018. This is for the first time the Italian Festival preformed an Indian composer’s work. 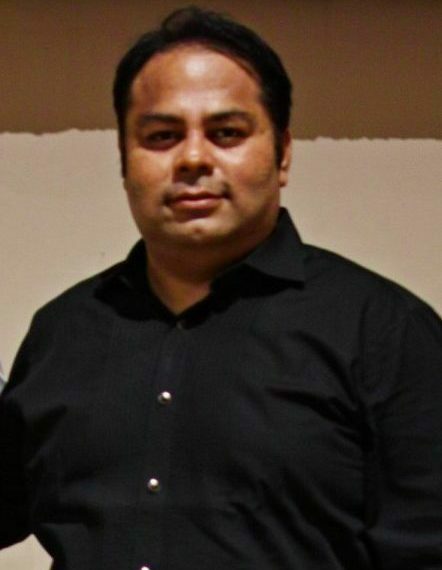 Michael’s first success came when he won the selection of representing the Indian Commission at the Commonwealth Games 2014 as a Composer for the Scokendia Ensemble. He wrote a piece called the ‘Spirit of India’ for the ensemble, which was performed during the Commonwealth Games 2014 in Glasgow in several venues, having its World Premiere at the prestigious Stevenson Hall of the Royal Conservatory of Scotland on 25th July 2014. In India, Michael has formed his own Symphonic Orchestra in 2012, which performs all over India in prestigious events. Michael is the co-founder of the Autumn International Music Fest Hyderabad and the Indo European Chamber Orchestra.